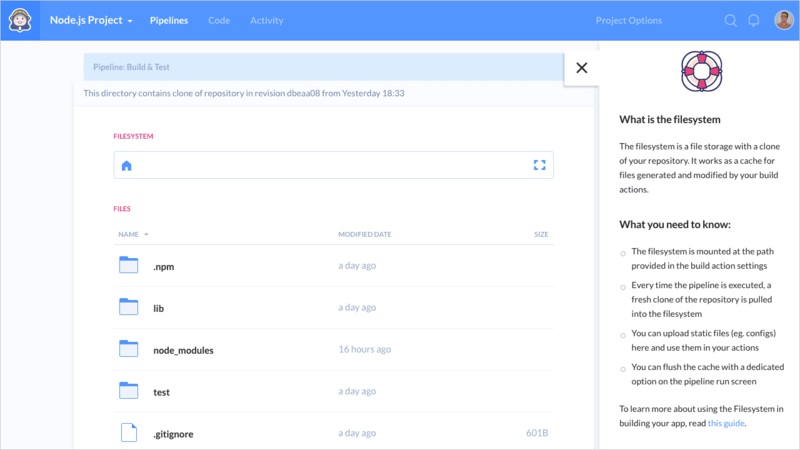 Run your builds in isolated Docker containers with pre-installed languages and frameworks. Compile files, generate artifacts and store static files in pipeline-specific cache folders. Define trigger mode patterns to test and deploy multiple branches at once. Use conditional actions to send custom notifications on failed builds and deployments. Attach services to build actions: MySQL, MongoDB, Elastic, Postgres, Redis, MariaDB & Memcached. 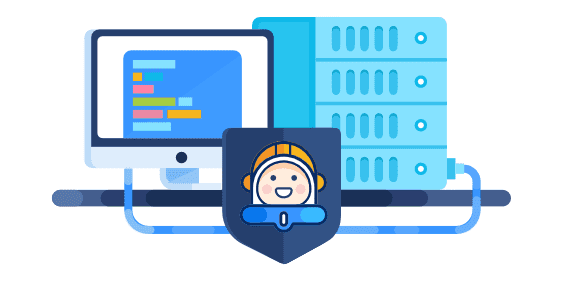 Store code and run builds and deployments on your own server with the official self-hosted version of Buddy. Click here to download Buddy GO. Run integration tests and monitor your websites and servers in specified time intervals. Deploy your apps to AWS Elastic Beanstalk, Google App & Cloud Engines and Microsoft Azure on a single push to branch. Store and manage logins, passwords and parameters for easy access from any input in the service. 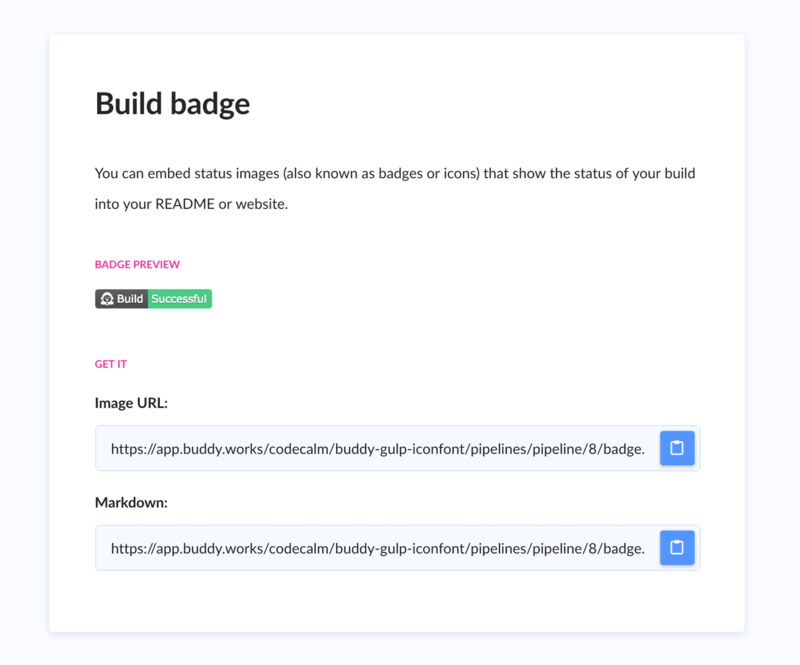 Embed images to show the status of your builds on a website or in a README file. Run code in AWS Lambda, Deploy Docker images to ECR, and update your EC2 instances with CodeDeploy. Develop blogs, documents and portfolios with a series of the most popular static site generators.